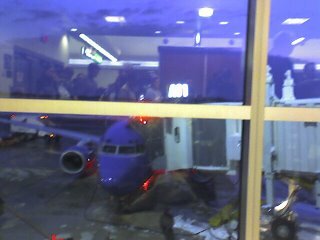 I flew Southwest Airlines to Tampa this week on Sunday. As you may know Southwest is a big NetApp customer. And on Sunday they were having trouble getting planes in and out of the Mid Atlantic States. As I was flying from BWI, the flight I was on was in the middle of their weather related scheduling problems. Through the afternoon I checked their flight status online and their website kept saying the flight was going to depart about 17 minutes late. When I got through the TSA screening I checked again and the status was still delayed 17 minutes. Our proposed departure time came and went and there was no change on line about the departure time of the flight. Eventually, an anouncement was made that the aircraft had not left Manchester, NH yet and once it did- it would be about 45 minutes until it was at the Gate at BWI. 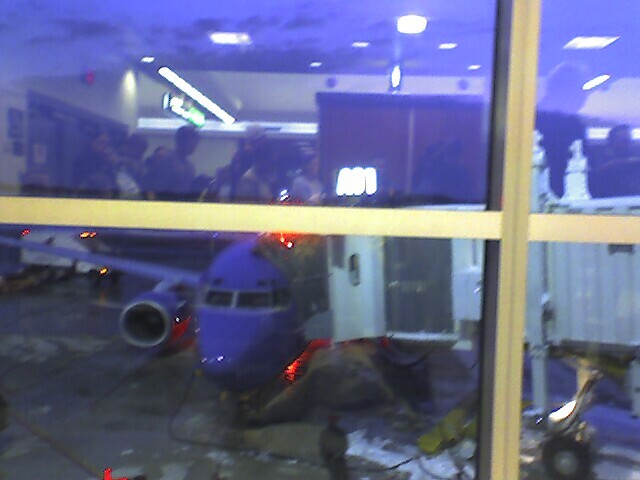 The flight departed about 90 minutes late, and got us into Tampa about 11:30 at night. Southwest Airlines uses NetApp filers, and through the snow storm they worked fine! I don’t think their usage had much of an affect on the flight schedules, but maybe some NetApp marketing person could spin it and put out a press release about how NetApp saved the day for Southwest.